As an advocate for community health and wellness, I am always exploring new ways to introduce individuals to activities that empower them to lead physically active and happy lives. I try to model and love to share my own experiences. 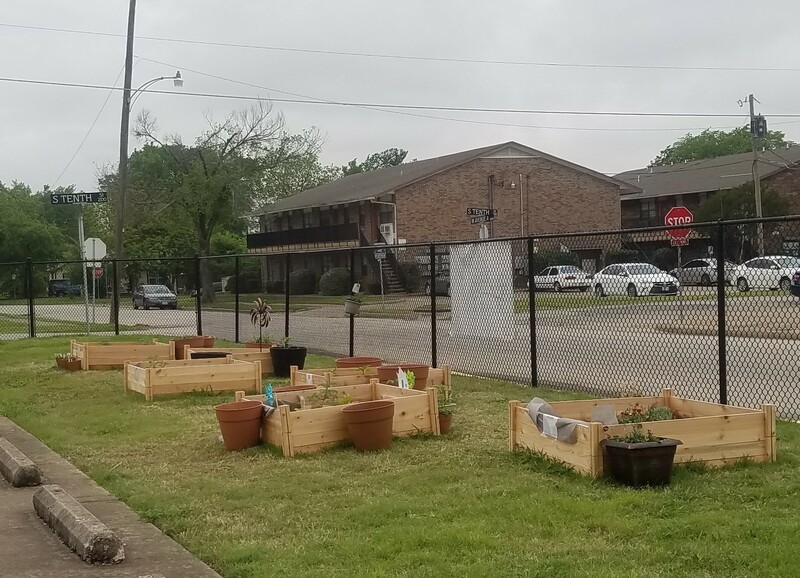 I had already been thinking about starting a “community” garden but I was really determined to "break ground" after receiving the Healthy Zone grant and attending the orientation at the beginning of the school year. The Healthy Zone program includes all the elements for empowering our students to live healthy lives while growing community relationships. Purposeful physical activity – Expecting students to exercise for the sake of being healthy or fit isn’t meaningful to most of us, especially teens. Given the opportunity to do a physical activity that has a relatable purpose (but happens to involve some physical strength and flexibility), students choose meaningful assignments. Students eagerly participated in ground preparation. That meant digging in Texas soil (hard as cement), pulling prolific roots and weeds, building raised garden beds, and distributing heavy bags of soil. The work was hard. The kids were sweating but most of all they were having fun! Mindfulness – The building of relationships is vital to all of us; and, for our students, it requires great effort. Learning how to be “mindful” of our words and actions is a critical tool to our students’ success. The gardens allow them the time and opportunity to practice these skills. We learn to cooperatively work with each other. Sometimes, we learn to sit quietly and reflect; other times, we converse about personal struggles, hopes, and dreams. The gardens provide calming physical activities that they can rely on for a lifetime. We are so excited about the enthusiasm of staff, students, and community members for the gardens. We have discovered the ultimate “interactive” classroom where lessons are student-directed, purposeful, and the by-product is a healthy and community-rich life.